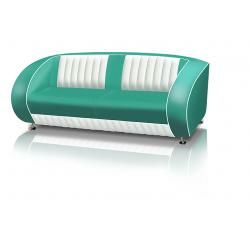 With Jolina Products’ retro sofas, you can create the ultimate fifties look in your American diner, restaurant or home. With their classic bright colours and chrome feet, they bring the magic years of the fifties back to life. 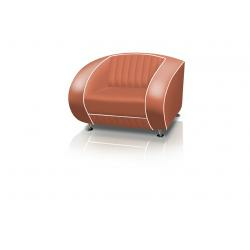 The retro sofas don’t just look very stylish, they are extremely comfortable, too. Mix and match the sofa with our other retro furniture for a complete Bel Air fifties look. Compose your personal stylish couch at Jolina. Each couch is available in a variety of types and colours. In short, you’ll always find one to fit your fifties style! Our range includes diner benches and wonderfully comfortable sofas and armchairs that make for a splendid addition to your living room or establishment. We make all our furniture in our own factory, which means that we can custom-make every couch. By personally taking care of our own production, we guarantee the best quality and the lowest prices. Our retro Bel Air fifties sofas are inspired by the American diners of the fifties. 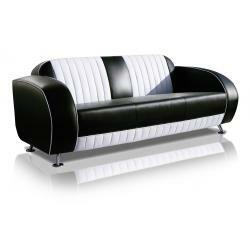 With these sofas in bright colours and chrome finishes, you’ll feel like you’ve gone back in time. 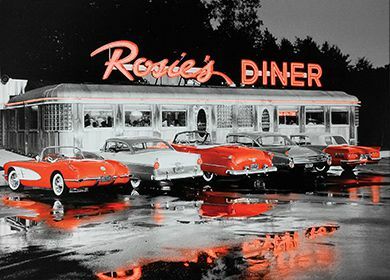 The classic diners seen in American movies serve as the basis for the design of our fifties showroom. Find inspiration for different interior styles in our gallery. Transform your home or restaurant into a Bel Air fifties version of itself with our retro furniture! Combine the retro sofas with our bar stools, chairs, booths and tables for unity in design. We wanted to create a seating corner with a fifties feel in our café. We chose a red retro bank and 2 armchairs. We’ve had them for a while now, but you still can’t tell that they’ve been used. The quality is superb! 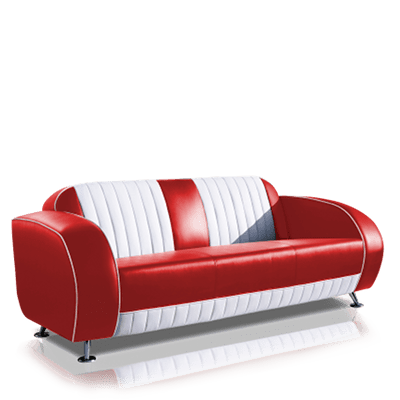 De retro Bel Air fifties sofas are available in many different colours and combine well with both modern and classic interiors. And for a fifties look in your restaurant, hotel or café, our retro furniture is just what you need. Create an inviting retro seating corner with the Bel Air style sofa where your customers can eat, drink and relax. You can buy our retro sofas in more than 60 locations in Europe. Looking for the nearest outlet? Enter your address below to find the Jolina Products dealer in your area. In order to be able to deliver our retro furniture throughout the world, we work together with 60 resellers throughout Europe. Together with these outlets, we are spreading the Bel Air fifties hype. 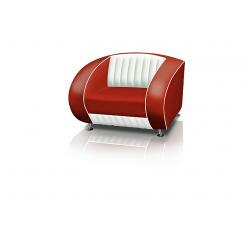 Would you like to expand your range with our retro furniture? Then please contact u for more information! With our upgraded drop shipment service, becoming a reseller is even easier! We take care of delivery – all you need to do is order the product from us. If you have any questions about the purchasing of retro sofas, please do not hesitate to contact our customer service or download the brochure .